AJ: So take us through the process of this book. When did you first conceptualize the whole idea and how did it flow from there? DQ: It was the fall semester of 2008. My spirit was declining and I was dragging myself to class each day. I started envisioning a series of vignettes in which I would consider burnout from the point of view of Zen. Little did I know, the coming semester would be the worst yet! It was almost serendipitous, though, because I had just bought a voice recorder, so I started recording myself on the way back to my car each day after class, and the stories just kept coming. Through them, my vision started to transform and as my vision transformed, so did my frustrations. 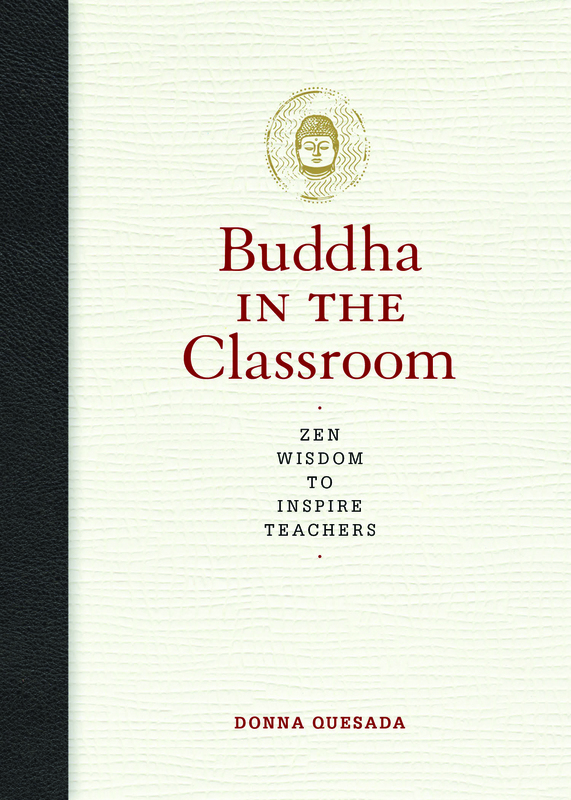 In this book I share what turned out to be a collection of entertaining anecdotes—of the “clicky” girls that never stop talking, the angry guy, the iPod guy, etc., all of which are followed by the treasured eastern wisdom that inspired and lifted me out of my burnout. AJ: It seems to me that you use the stories as a vehicle through which to intimate these zen lessons. Was that how you saw the book coming together? 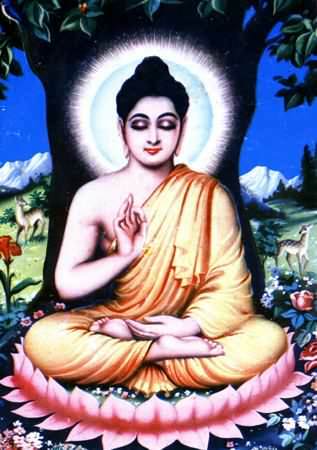 AJ: Can you go into a bit of detail about your background as a Zen Buddhist? DQ: It was an instant love-affair. It started when I spied the cover of an Alan Watts book, sitting on a friend’s kitchen counter. It was The Wisdom of Insecurity, which at that time, had a groovy green and purple cover which caught my eye, while the title captured my imagination. I was intrigued by its ironic and surprising promise. I started temple-hopping and then got lucky enough to land myself in the classroom of a Japanese professor who taught zazen. The nine of us in the class actually got credit for staring at the wall for nearly an hour each day. But then again, it’s more challenging than the typical academic work my friends were doing in other classes. Years later, I would find my way to The Hazy Moon and to the last disciple of Taizan Maezumi Roshi, in a charming little zendo in Los Angeles, where I finally took my Zen vows. My Yoga practice was deepening alongside my Zen practice all the while—the two are an interwoven and integral part of my life today. AJ: I was particularly struck with the non-religious feel of the book. It felt more like you and I were having a conversation over coffee, sharing fun stories here and there. Can you speak to that feel of the book for a bit? DQ: I’m happy it feels that way to the reader! And I’m glad you mentioned the non-religious feel. It’s as I say in the preface, the wisdom is for everyone! Zen expects nothing and insists on no beliefs at all, so it doesn’t matter what the reader’s religious background (or lack thereof) is. That’s one of the interesting things about Zen temples—you walk in and find Christians practicing next to Jews! What Zen asks of you is that you be present for your life, and any discipline that helps us do that is doing us a great service. AJ: Did you have a particular reader in mind as you were writing the book? DQ: It’s funny. Everyone, but me, seemed to peg this book right away, as a book for teachers. But, I never thought of myself as someone who had a right to write a book for teachers. I never thought of myself—and still don’t—as an education expert. I only wanted to share these special, golden-nuggets of Zen and Yogic wisdom, alongside entertaining stories. 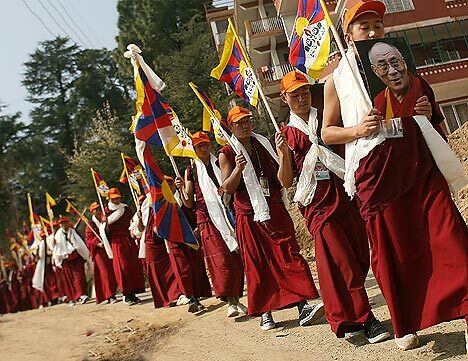 I thought Zen enthusiasts would appreciate the elements that have only been heard in Dharma talks. But it is being marketed as a gift for teachers, and I now see that it can be of great service to teachers that are feeling the same way I felt. My hope now is that it inspires many! AJ: What would you say is the “take home message” of your book? DQ: To remember that we’re here to uplift others and that goes beyond the words and the whiteboard and even the grades. And we do that by shifting our perspective and by doing the opposite of what we’ve always been told to do in the west—by getting out of our heads and out of our own way! Our presence itself is a great teacher. Well, the month has arrived! 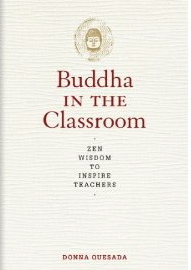 My book, Buddha in the Classroom; Zen Wisdom to Inspire Teachers, is now available for purchase. In celebration of the event, I will be posting a couple of excerpts this month. Here is the first, taken from one of the Dharma Lessons that follow each of the classroom chronicles I share in the book.